Bislama developed when English speakers visited Pacific islands and were unable to speak any of the languages they encountered. Local people learned some English and adapted it using the grammar of their own languages. During the nineteenth century many people from the then New Hebrides were taken either by force or voluntarily to work on sugarcane fields. 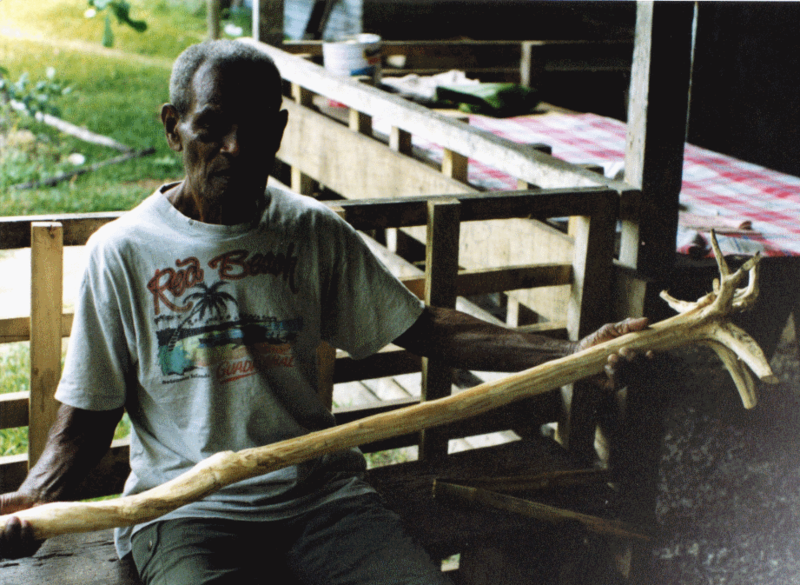 As there were at least 130 languages spoken in the New Hebrides, these people needed a way to talk to each other and to the cane farmers. Bislama developed and served a similar function back in the New Hebrides, allowing people from different parts of the island archipelago to converse. When Vanuatu became independent in 1980, Bislama was made one of three official languages of Vanuatu (with French and English). The Bislama texts in this collection were organised by Ricky Taleo in Port Vila and come from a range of sources, including from individual researchers who have recorded Bislama in the course of their fieldwork (e.g., Baebol long Bislama; Bislama Sermons; Education Dept; GJP Party; Gov Source; imel mesej; Letter; Big Wok, Storian blong Wol Wo Tu; News Paper; paclii; Risej Konfrens; Simply Bible; Yr 2 Tija Gaed).